Have you ever had a thread you are afraid to use? Or that you've tried to use but can't make it work? It's so frustrating! I plan to spend time this year talking about thread and how to make it work for you. 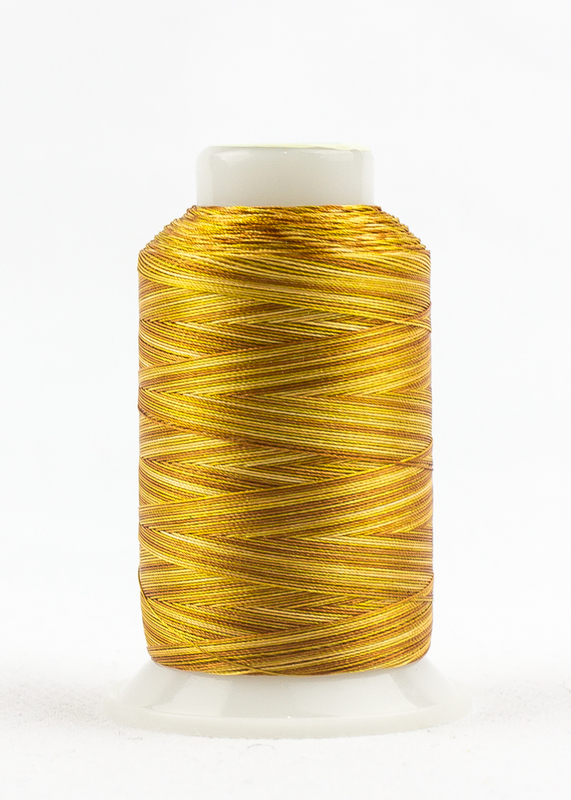 This week's thread is FabuLux Midas Touch. It's one of my most-used threads for machine quilting. The color blends when I want it to blend, but also gives a little zip and shine. FabuLux is a 40 weight, 3-ply trilobal polyester with a loose twist to add lustre. 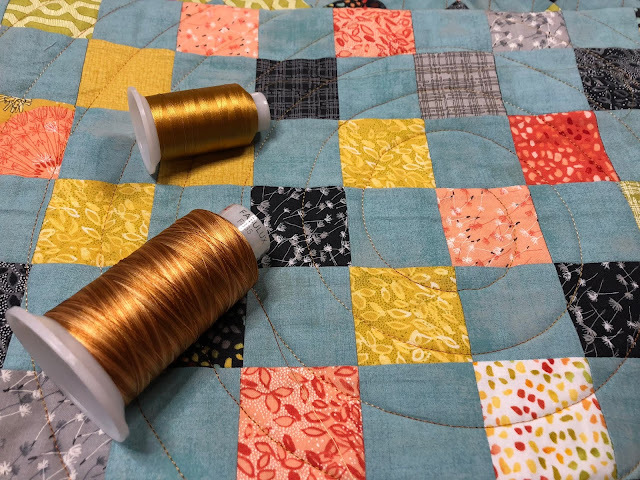 It is a little thicker than average piecing thread and works best through a large-eye needle (18 on a longarm, 90 on a home machine) when using a large stitch (9-12 stitches per inch or 3.0mm). 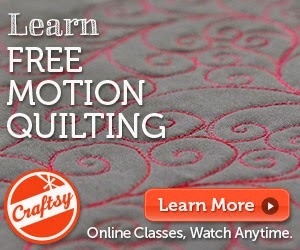 I don't micro-quilt with FabuLux because the small stitches and small needle can cause the thread to shred. I don't typically use FabuLux in the bobbin; I use a matching spool of DecoBob. 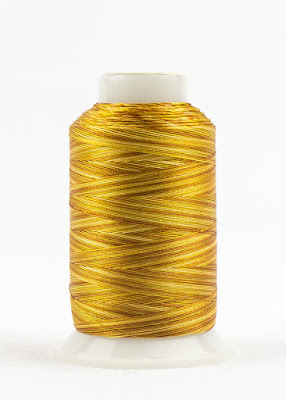 Midas Touch is a random variegated thread blending three shades of golden yellow. I often use this thread instead of gold metallic thread. I use it on primitive quilts, patriotic quilts, and whenever shades of yellow/gold will work well. I recently used this quilt on a class sample made from Dandi Annie fabric and Grunge. It blended beautifully with the gold fabrics but didn't scream against the aqua, black, gray, lime, peach, or cream fabrics. I didn't have a single thread break on this entire quilt. I paired it with DecoBob Dark Gold in the bobbin. Visit next week for another Thread Thursday!